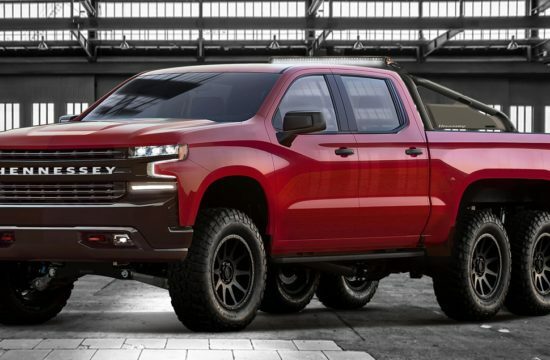 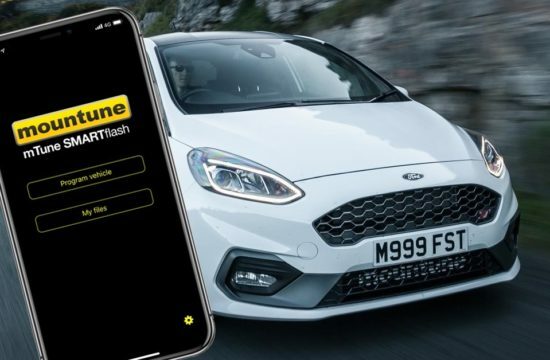 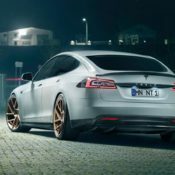 The fact that it is extremely hard to improve an electric car has not stopped aftermarket specialists from trying. 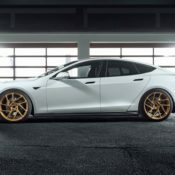 Here you see the Novitec Tesla Model S, a European take on the highly celebrated American EV, and it boasts a number of key upgrades that make the ownership experience of the car more satisfying. 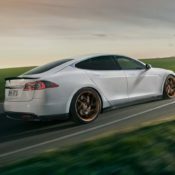 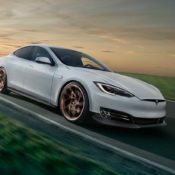 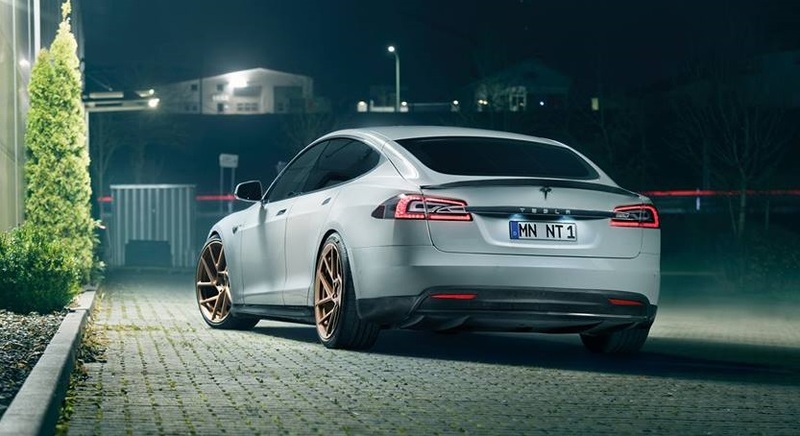 On the styling front Novitec Tesla Model S is given a light treatment in form of some carbon fiber components that do more for the aerodynamics of the car than its looks. 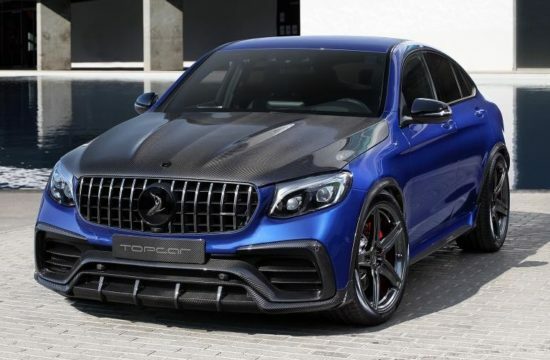 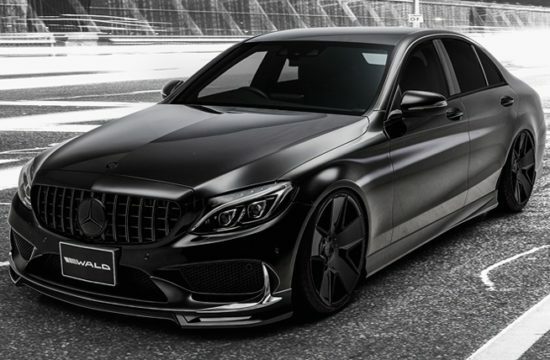 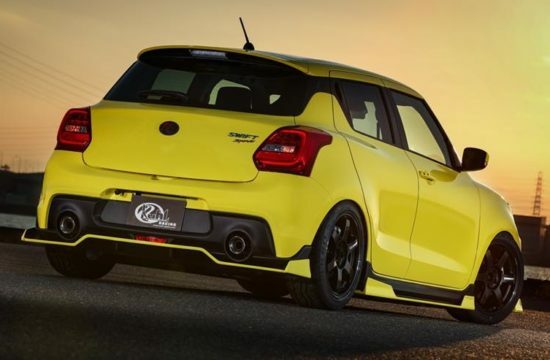 The package include front splitter, side skirts, and rear diffuser, plus a neat boot spoiler. 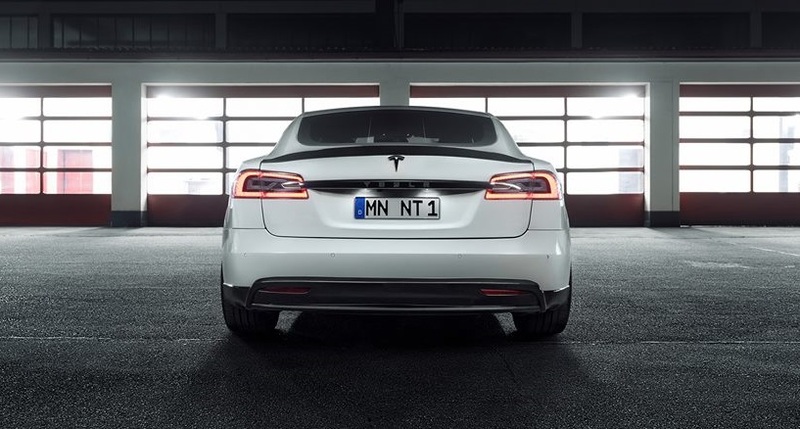 Because they are made of naked carbon, they look their best on a white car. 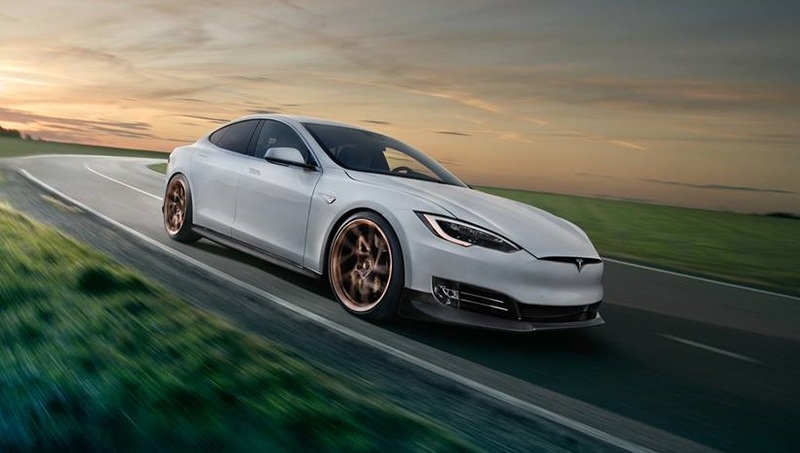 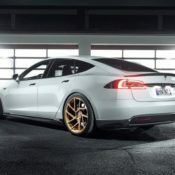 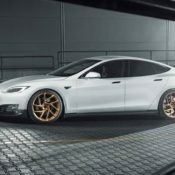 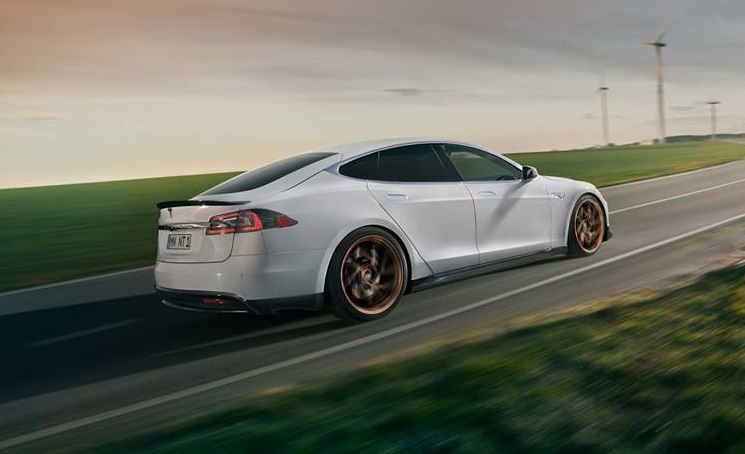 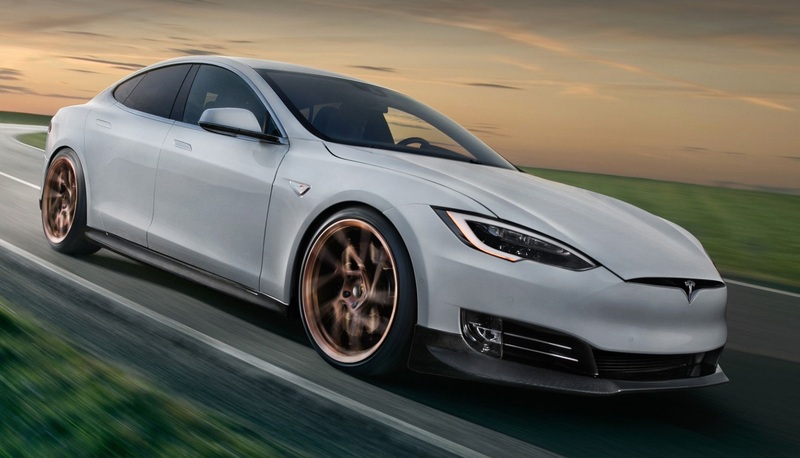 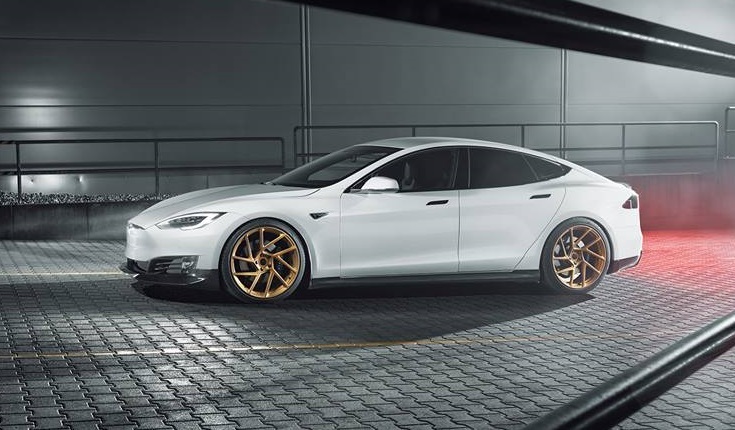 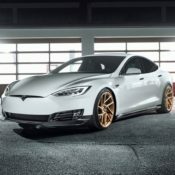 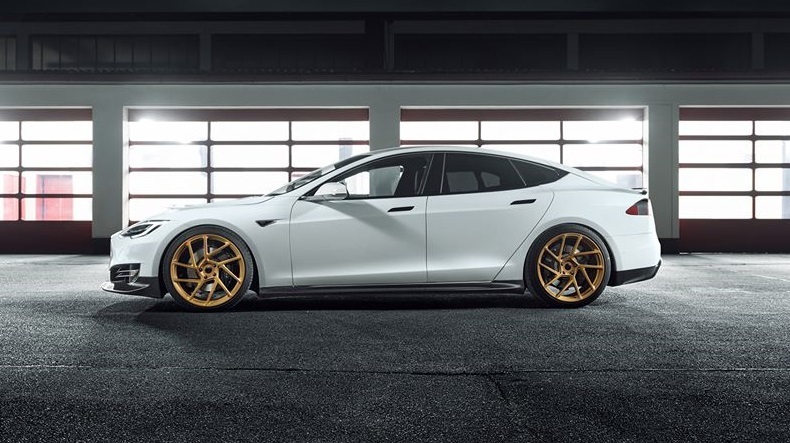 The aero parts are complemented with a set of a bespoke Vossen wheels made exclusively for the Tesla, measuring 9,0J x 21J with 245/35 R21 tires on the front and 10,5J x 21J with 265/35 R21 tires out back. 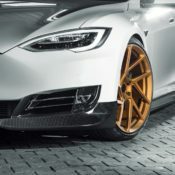 Customer has full control over the color of the rims. 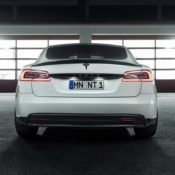 Having taken care of the looks, the tuner then set about technical improvements. 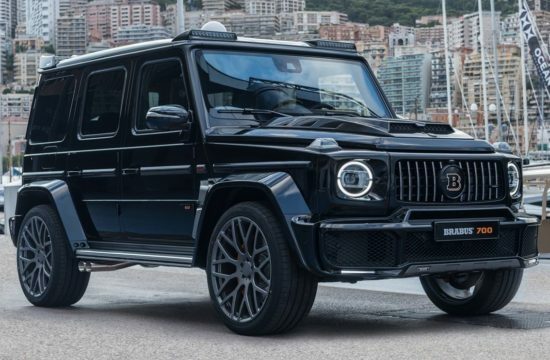 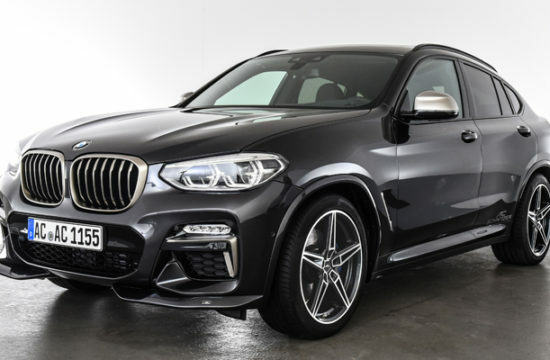 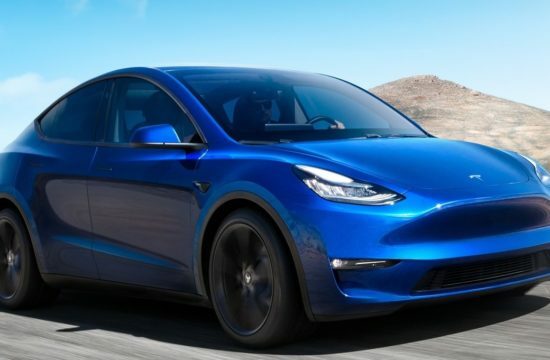 And this is the difficult part with an electric car, because there isn’t much that can be done to increase the power and range that the manufacturer hasn’t done already. 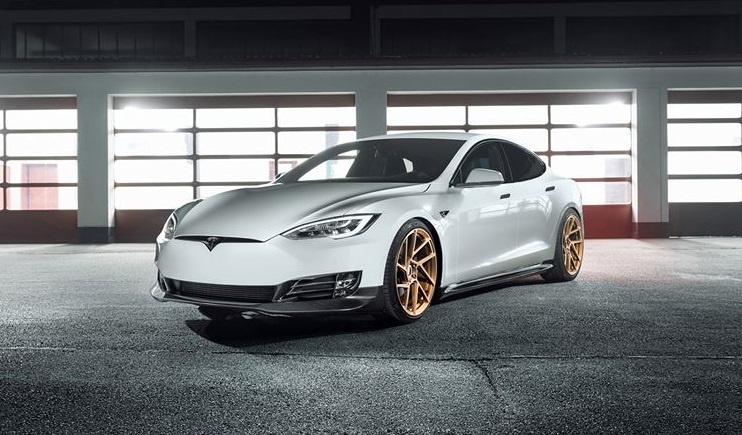 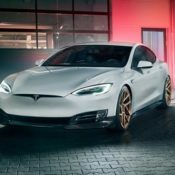 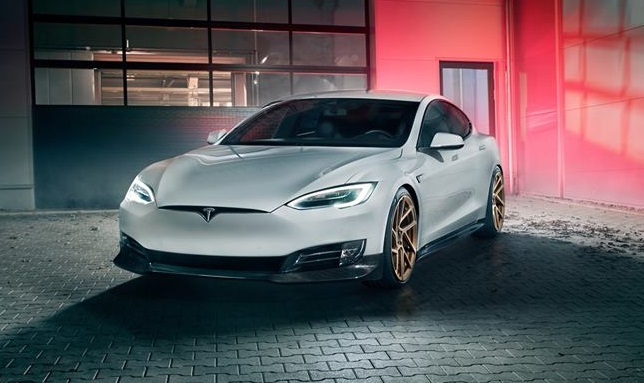 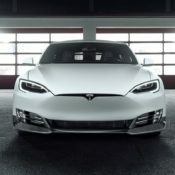 So Novitec Tesla Model S program focuses on ride and handling, hooking the car up with electronic adjustable shock absorbers optionally with hydraulic height adjustment. 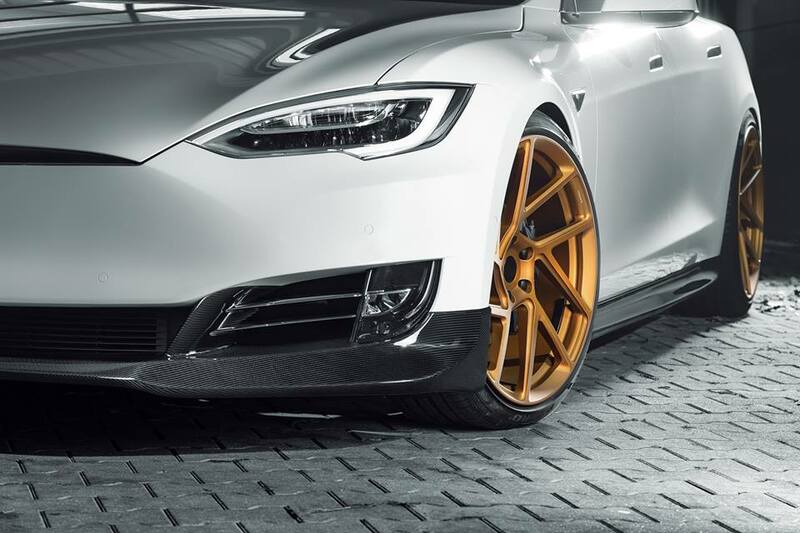 This results in a nice drop of 25mm in eh ride height. 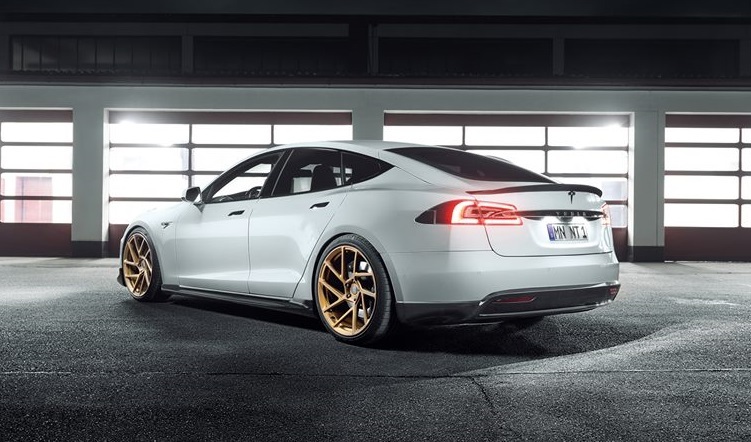 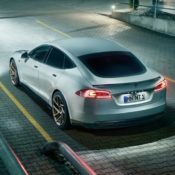 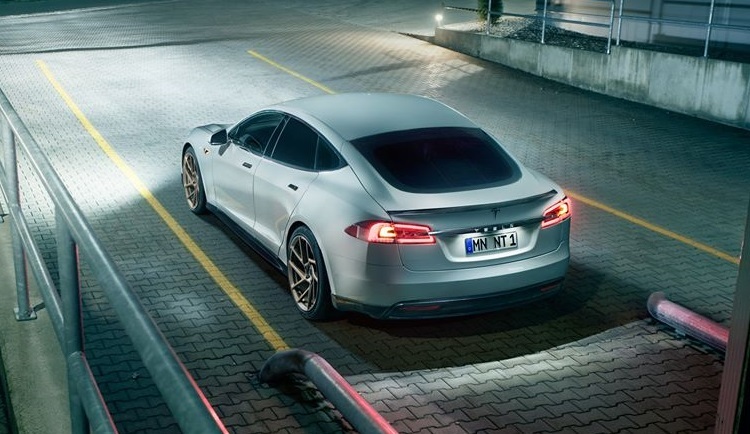 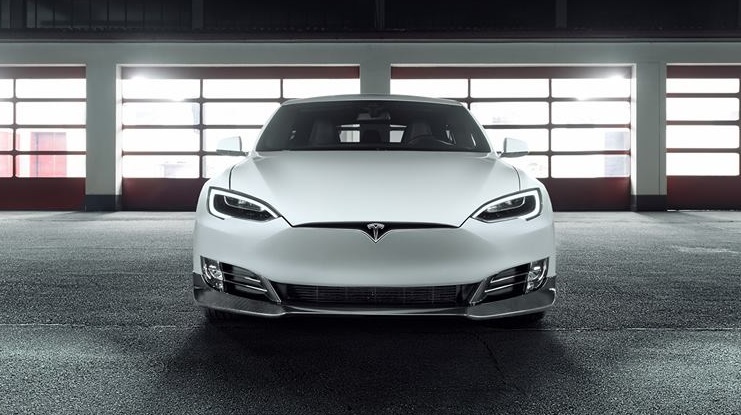 Last but not least, the Model S gets a high performance brake system with ventilated Carbon-Ceramic brake discs optimized the deceleration value of the vehicle by weight-saving at the same time.